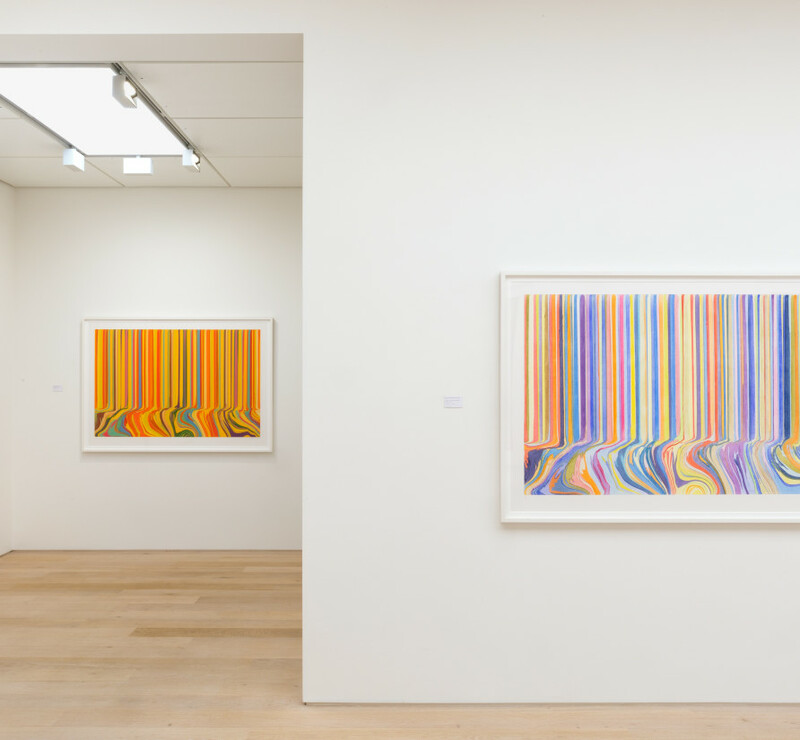 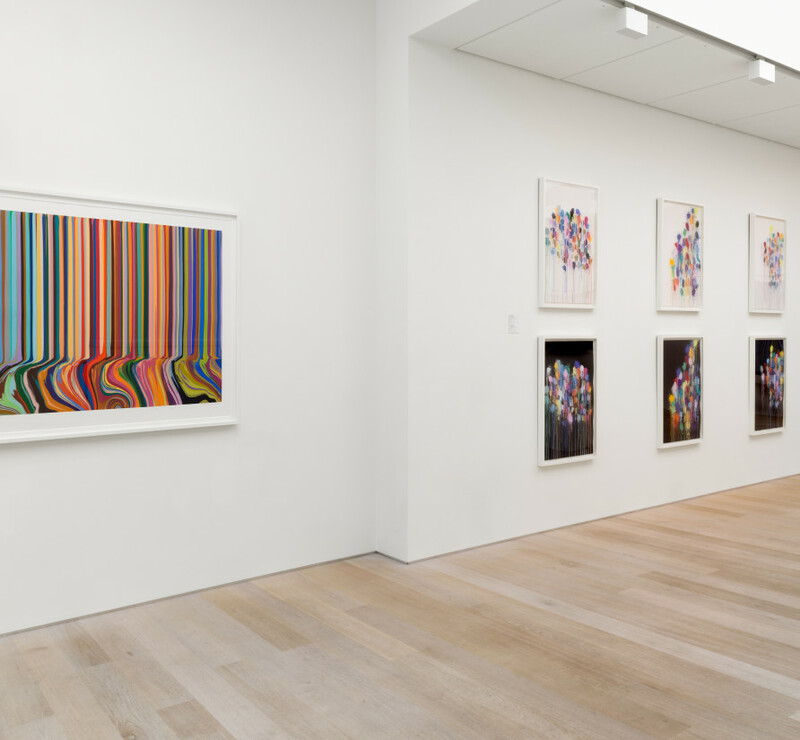 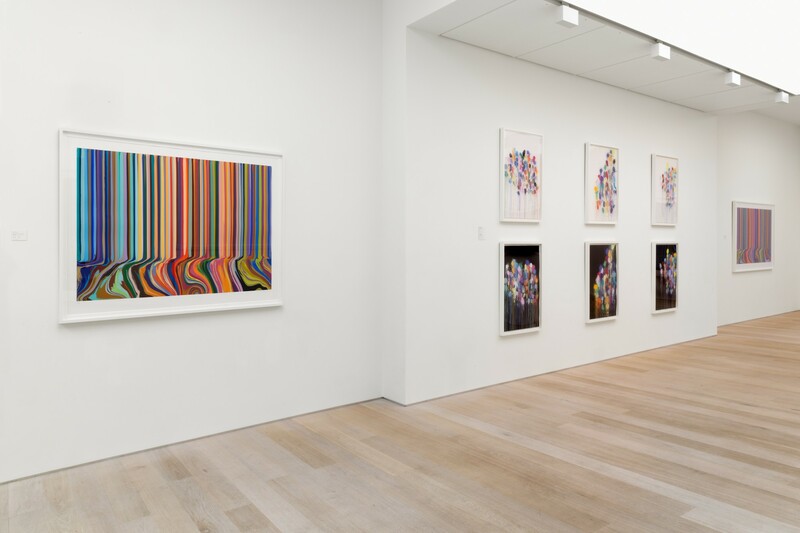 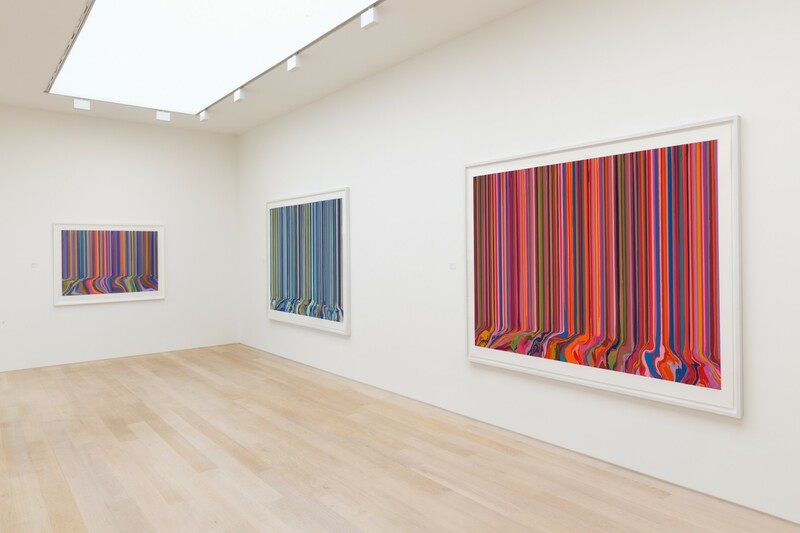 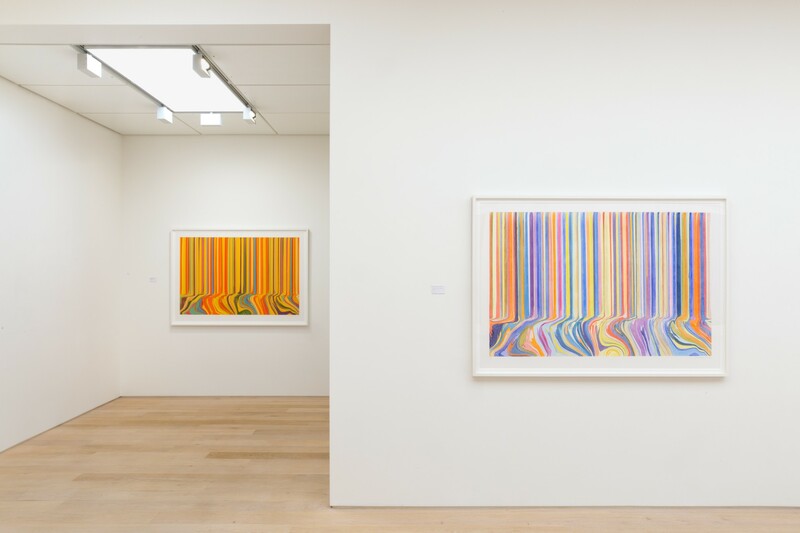 Alan Cristea Gallery is currently exhibiting a major new body of etchings and monoprints by Ian Davenport. 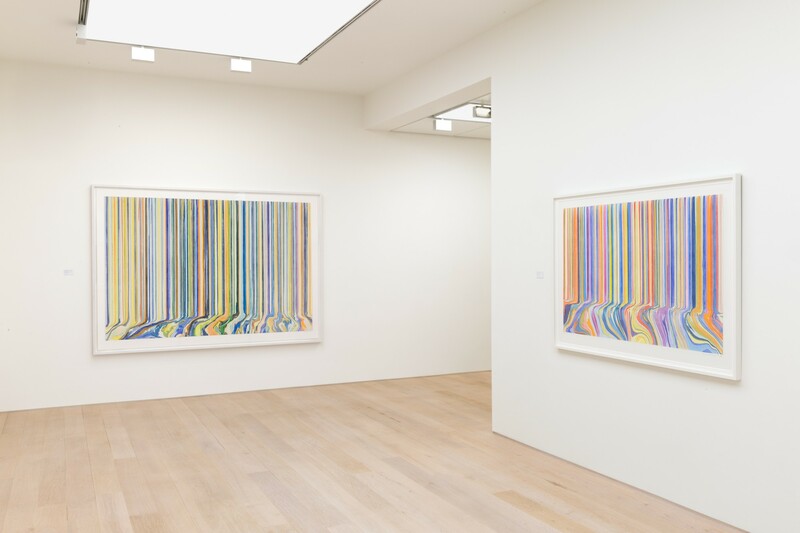 'Melismatic,' a musical term which refers to the singing of a single syllable of text whilst moving between several different notes in succession, includes Davenport’s largest and most ambitious editions to date. 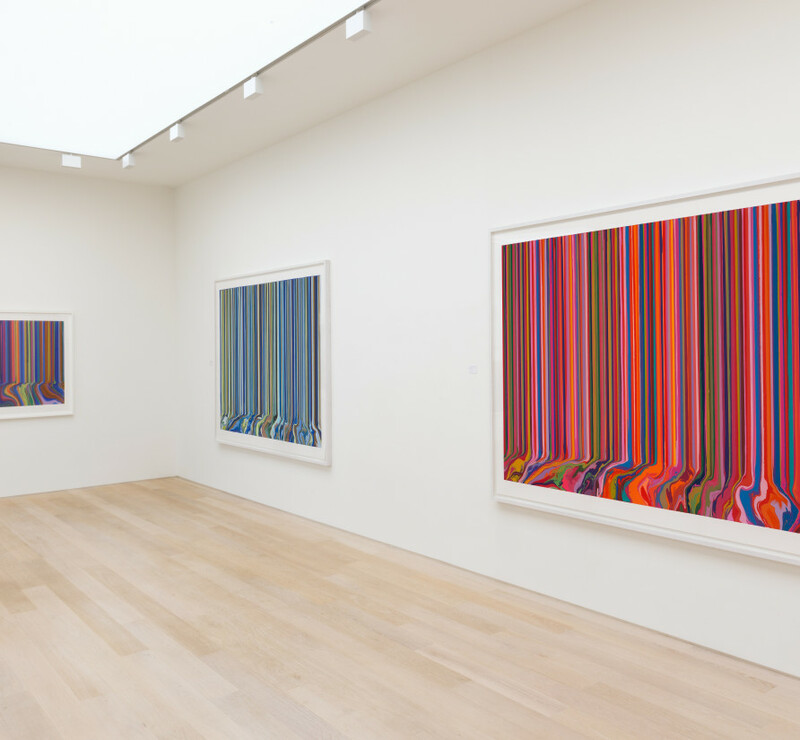 Four monumental etched triptychs, each an orchestration of 42 different colour combinations, are rendered in fluid lines of colour which pool to form puddles at the bottom of the compositions and each measure 177 x 255 cm. 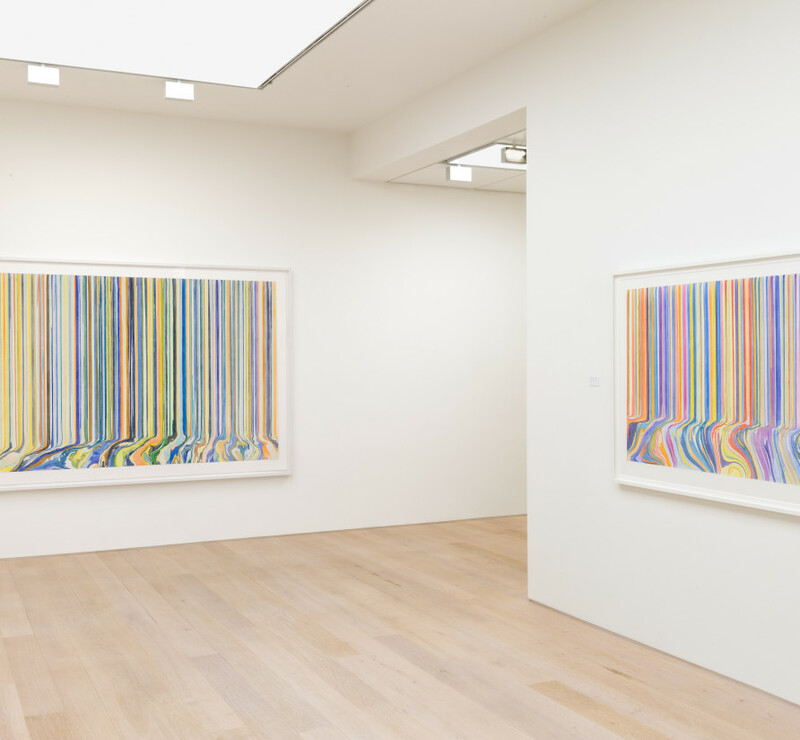 The Ambassadors (After Holbein), 2017, and Primavesi (After Klimt), 2017, are abstract interpretations of the colours used in Holbein’s famous painting, The Ambassador, 1533, and Gustav Klimt’s 1912 painting, Portrait of Mada Primavesi.